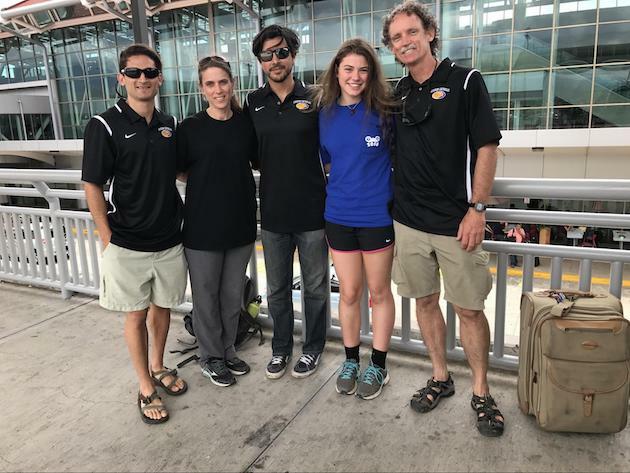 Guerin Catholic High School has participated in Costa Rica Explorations programs for the last four years. Costa Rica Explorations has helped create and foster an incredible partnership between Guerin and the local Catholic church and community of Sitio de Mata, Turrialba. 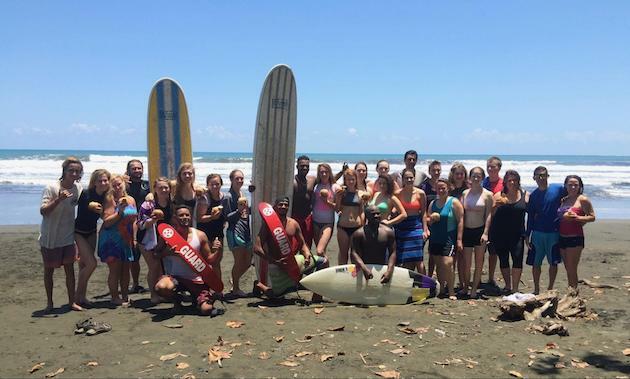 Every spring a group of students and teachers from Guerin travel to Costa Rica to take part in a cross-cultural, service-based, adventure-travel trip. They work side-by-side local community members to complete authentic and meaningful service projects within the community. Each year the group builds upon previously completed projects in collaboration with the community’s continued development. The students and teachers are paired up and live with local Costa Rican families where they experience what daily life is like in Sitio de Mata and have incredible opportunities to practice their Spanish language skills. Lifelong cross-cultural friendships are built and chaperones and students leave knowing that they will always have family to visit in Sitio de Mata in the future. Included in each program, students and teachers participate in educational field trips in order to learn about tropical agroforestry, flora and fauna of the rainforest, and indigenous history and practices. They also participate in adventure activities such as whitewater rafting & ziplining on the Pacuare River, and surfing in Cahuita. Guerin chaperones are able to thoroughly enjoy the travel experience with their students and foster each student’s individual growth knowing that their group’s safety and logistics are well taken care of by the Costa Rica Explorations guides and administration. Please use the following quick links to learn about individual teacher and student personal experiences of a Costa Rica Explorations international student travel program. 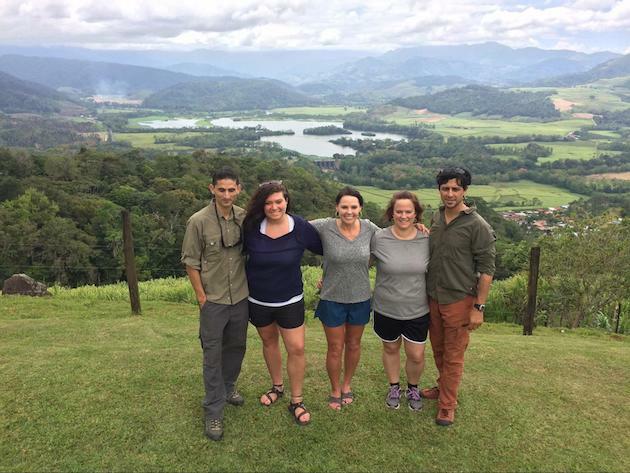 Beth and her daughter Lauren with guides José Miguel, Sergio, and Kurt before leaving on the last day. Not only was this the first time that I traveled with Costa Rica Explorations, but it was the first time that I accompanied a group of high school students as an adult chaperone. However, this was my second trip to Costa Rica and, therefore, my perspective is a bit different than most. Costa Rica Explorations provided three guides – Kurt, José Miguel, and Sergio – that stayed with us during our 10-day trip. They worked well together, worked well with our students, and shared their knowledge of their culture, country, and language. They were approachable, incredibly well-liked, and very professional. One day during our trip it rained a great deal which prevented us from doing a snorkeling expedition, but our guides made last minute arrangements to visit and tour a nearby animal rescue center which ended up working out wonderfully for our group. As a chaperone, I never had any worries regarding safety and transportation. We traveled throughout Costa Rica in two buses that were driven by Luigi and Pablo. Not only were they both very kind and amazing drivers that I trusted, but they could also maneuver in and out of the smallest of places! I was in awe of their incredible driving skills! The itinerary was evenly balanced between service projects, adventure, education. Some days were a bit full while others were a bit more relaxed. Being with the host families in Sitio Mata and whitewater rafting were personally my favorite parts of the itinerary. However, the waterfalls, zip-lining, farm tour, cooking classes, dance lessons, surfing, chocolate tour, and animal rescue center were also exciting and adventuresome. My host mother, Marjorie, was a fantastic cook and shared her knowledge of her culture and village with every meal. After talking with our students, there wasn’t anything that they would have taken out of the itinerary. They seemed to enjoy all aspects of the trip and were surprised by how much they were able to do in such a short amount of time. I would highly recommend this trip to anyone whether or not they have a lot of Spanish speaking experience. In fact, my freshman daughter also went on the trip this past year. She had never been out of the country before, is a very picky eater, and doesn’t know a lot of Spanish, but she found the trip to be very educational and enlightening. In fact, she wants to return to Costa Rica in future with Costa Rica Explorations. 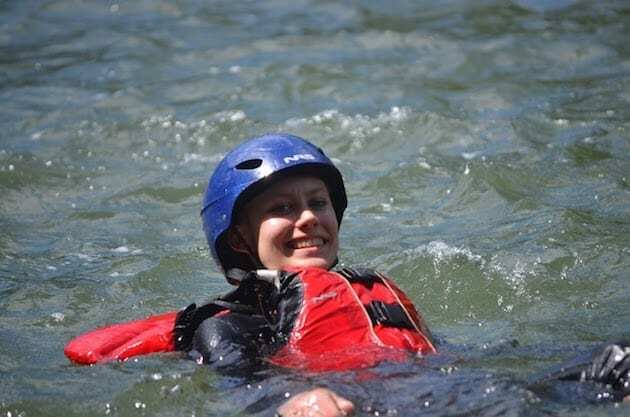 Grace getting ready for rafting in Río Pacuare. How do you say goodbye to your traveling family after being with them for 10 days? Let me just say that saying goodbye to my new friends was one of the hardest things I’ve ever had to do. I did not expect to become so close to all the new friends I made in Costa Rica. Throughout this trip, I surprised myself in ways I never expected. Personally, I did not have a lot of expectations for this trip because I had no idea what to expect. This was my first time traveling with a big group, and my first time immersing myself into a new culture instead of being a tourist. On this trip, I found a new place that I can now call my home. While staying with my homestay family, I honestly felt like I was at home, which was a new experience for me. 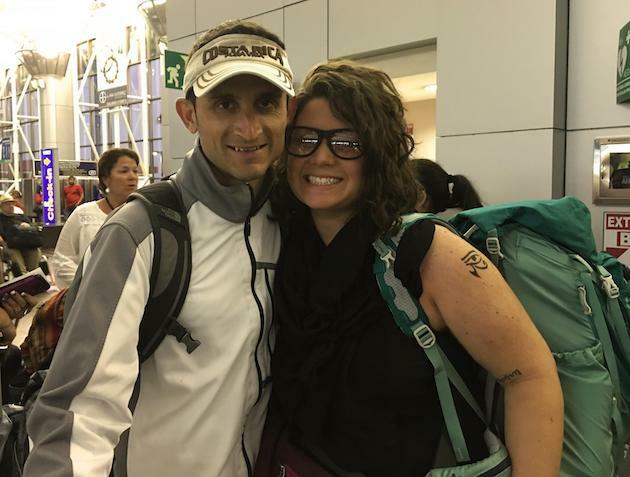 Before I left for Costa Rica, I was nervous that I would have a hard time connecting and communicating with my homestay family. Instead, I bonded so well with my new family and I had so much fun with my new siblings. But what really surprised me on this trip was the connections and relationships I made with everyone. While I made an amazing relationship with my family, I also grew close with the tour guides, which is something I did not expect at all. Through Costa Rica Explorations, I was able to experience activities outside of my comfort zone while still feeling comfortable and welcomed. I learned so much, and I surprised myself even more during my time in Costa Rica. The people I met on this trip were amazing, and I couldn’t have asked for a better way to spend my spring break. I had the opportunity to really immerse myself into the culture of Costa Rica and not feel like a tourist, which I enjoyed. I can confidently say that there is no place like Sitio de Mata and I’m so glad that I had the opportunity to experience this community and more through Costa Rica Explorations. 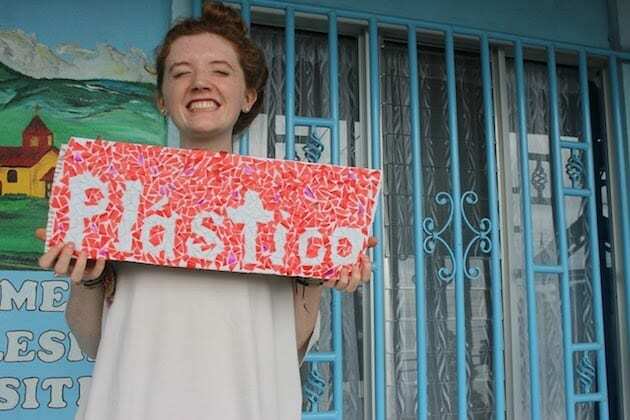 Watch Grace’s amazing video about her experience on her Costa Rica student trip! 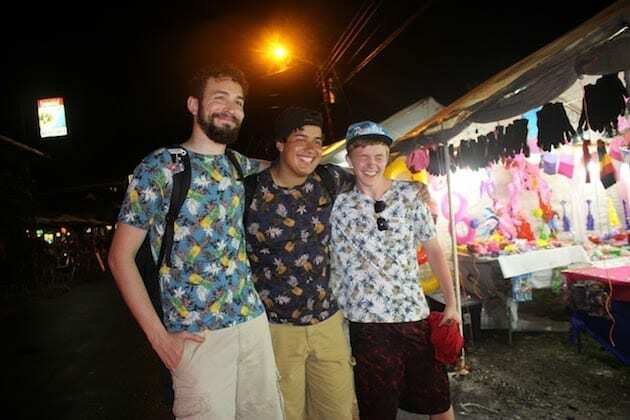 Joey making memories with coordinating piña shirts in Cahuita. Our trip through Costa Rica Explorations was truly inspirational. While Costa Rica is beautiful with its jungle habitats, unique animals and foods, breathtaking views, winding roads, mysterious ancient ruins, etc., the people there are just as beautiful – if not more! So many times I was completely taken aback by how hospitable the Costa Rican people were. They took care of me, fed me, kept me safe, transported me, washed my clothes, taught me many things, and challenged me in many ways. They spent their time getting now me and made sure I had everything that I needed during my stay – all with a smile on their faces. I also loved getting to know my group through this experience. Being a teacher and seeing my students overcome obstacles was an excellent way to get to know them outside of a school setting. I feel like our relationships have grown because of going through this experience together. The guides that worked with our group were every bit of the word awesome. They always had a plan in place, and I never felt like time was wasted. They helped make every experience memorable and meaningful. If you are going to experience Costa Rica, I would highly recommend doing it through Costa Rica Explorations! Coming into the trip, I was closer to the chaperones than I was with anyone else in my group, one of whom was my mom. I had also never been out of the country before, so I didn’t know what housing, community, or food I was to expect. All of these factors scared me, and not just a little. I’m a pretty picky eater and I am in only in my first year of Spanish. It didn’t help that I am only a freshman and all of the other people in our group this year seemed to be juniors. It was really nerve-racking at first. But once I was greeted by Sergio and Kurt at the airport, I did not feel much more nervousness. I loved their welcoming personalities and Costa Rica itself. I realized that I could talk to the guides and look at the mountain views all of the time on just the first day. I also NEVER expected to enjoy the homestays as much as I did. Everyone, and I mean everyone, in Sitio de Mata was extremely welcoming and patient with my Spanish, or lack thereof. And although my group and I did so many activities together in such a short amount of time, I still can recall them all in order of when they happened. I enjoyed the hikes to various waterfalls, zip lining and whitewater rafting, and the beautiful black sand beaches. (Even though surfing was challenging, it still was amazing.) The dance lessons were downright wonderful; I still am so proud that I now know how to dance and not just freestyle everything. I also loved the various restaurants we ate at and the churches we visited in Cartago, Sitio de Mata, and Alajuela. I truly think that the CRE program did a great job combining tourist attractions and local activities; the balance was great. But, my absolute favorite thing that I did when I was in Costa Rica took place in the community of Sitio de Mata. When my group spent time to help the community learn about recycling, paint the church and recycling center, it was quite a small act that seemed so simple, but I remember that the feeling afterward was unforgettable and priceless. So many citizens had come up to us, thanking us for our work. Additionally, I had made so many friends within my group. The early timing of the service project let me feel more comfortable as the trip went along because I knew that I had new friends by my side. I had created a sign for the recycling center out of recycled materials and painted a small mural on a wall of the center. I remember not wanting to be anywhere else in the world, despite the drizzling rain of that afternoon. After those four hours had quickly finished, we played soccer with the young boys and girls of Sitio de Mata. That day was probably one of the best days of my life. I had so much fun, and I made a lasting bond with everyone in my group, as well as those we met in Sitio de Mata. So, I want to take a moment to thank the CRE organization for incorporating time to interact with the whole community through the project and soccer game. I absolutely loved it and will never forget it. I’m also going to add that my main goal, other than to enjoy my time in Costa Rica, was to be open-minded to new foods. I’m a fairly picky eater, as I had mentioned before, so I was scared that I wasn’t going to like anything. I know that sounds stupid, but I was a little nervous about it. 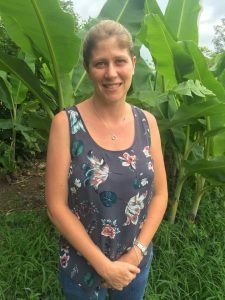 Now, looking back on my experience with my homestay family meals and other food provided, I think this company did a great job providing options for us outside of the homestays. And in the homestays, I think my host family (the Contreras-Ramirez’s) did an absolutely fabulous job giving me good portions of both Costa Rican foods as well as some Americanized food. I tried many new foods with the help of CRE and my host family, and I learned that I like most, can tolerate many, and dislike others; but most importantly, I learned that it is okay, no matter the outcome. All in all, this trip made me really think. I’m fairly positive that I learned more about cultures, Spanish, relationships with other people, and even myself in one week spent in Costa Rica than I could in a year in Indiana. I found some quality friends (in Sitio de Mata and within my group) and some even better tour guides, all of whom I wish to see again (Sergio, Jose Miguel, and Kurt). Thank you for opening my eyes to new experiences and other cultures. Lastly, thank you for a week I will keep with me and live out in my daily life (hopefully forever). Costa Rica Explorations is fantastic! Molly and her team made our job as teachers/chaperones so easy! All aspects of the trip were truly amazing! The home stay families were warm and welcoming, the service projects helped connect us with the Sitio Mata community, and our days were packed with fun and exciting cultural and adventure activities. Painting the Catholic church, helping add a meeting room and restrooms, improving the soccer field changing rooms, Latin dance, cooking class, hiking, handicrafts, zip lining, whitewater rafting, surfing, snorkeling and learning the chocolate-making process with the Bri Bri Indians, were among the favorites! The guides that were with our group from arrival through departure were professional, personable, knowledgeable and helpful! When we wanted to customize the itinerary, Molly made sure we were able to do so. If you are looking for a hassle-free, professional organization that is small enough to provide a personal touch, travel with Costa Rica Explorations! I never thought that a week out of the country would have such an impact on my life. Heading to Costa Rica with my school was something that I had dreamed of ever since I heard of the program’s existence. I was so happy to get ready for the trip and make it a part of my story when I decided to go this past year. I love to travel so much and was beyond excited to go on a trip that combined adventure with community service. Going into our week in Costa Rica, I was initially most excited for all of the fun adventure activities that we would get to do. Little did I know that while those things were awesome, they would not be my favorite part of the trip. In fact, we could have taken them out, and I would have loved Costa Rica just as much. What I valued most was actually what I was most nervous about going into the trip, and was what turned out to be the most rewarding part. I never thought that I could have a family in another country, let alone be at the point of tears after staying with them for only five days. I have taken Spanish since kindergarten, but I have never been challenged to the point of relying on it as my only means of communication with other people. I never realized how much Spanish I knew before needing to use it every day. My homestay sisters, two girls from my school, and I would willingly talk in Spanish with one another even when our family wasn’t around, and we could have easily spoken English. I have never experienced anything like a homestay family visit, and it is something that I will always keep with me. The humans that I met and loved in the mountain town of Sitio Mata were unlike anyone that I had ever met before. I miss it so much and cannot wait to return. The service work we did was SO much fun, and I honestly wish we could have done more. It planted a seed in me that I very much want to continue in my life. Interacting with the community was so enjoyable and such a cool way to experience the culture of Costa Rica. Also, our guides were some of THE coolest people that I have ever met. I miss them a lot, too. They were so loving and unquestionably made the trip what it was. Without them, Costa Rica would not have been the same. Overall, this trip was the most rewarding thing that I have ever done, and I cannot wait until I can return someday. Costa Rica is one of my favorite places on earth! The beauty of its rainforest, volcanoes, and beaches is breathtaking. Its nature activities are fun and invigorating. And its people are among the kindest I’ve encountered on any of my travels. Costa Rica Explorations made it possible for me and many of my students over the years to experience the beauty, activities, and people of this amazing place. I have been a lead teacher taking a group of students to Costa Rica three times already and plan to continue using Costa Rica Explorations every time. I could not have accomplished all that goes into planning a trip without John and Molly’s help. They have thoroughly considered every aspect of travel to Costa Rica. From the posters provided for call-out meetings at the beginning of the school year to follow-up phone calls and emails upon our return after spring break, they don’t miss anything. Not only was the trip easy to plan with CRE’s help, but was also so fun-filled! I tell my students during call-out meetings, “This trip is going to be one of the best experiences of your life” – and afterward they always say that I was right. The activities arranged by CRE for us include hiking, zip lining, rappelling, white water rafting, snorkeling, surfing, and more. CRE also arranges for us to do mission work in the small town of Sitio de Mata each year. It is rewarding for us to be able to help in ways such as painting a local church, planting trees, or cleaning up neighborhood sites. But we all agree that the best part above all is the homestay aspect of our trip. CRE takes so much effort to assure the safety of our group. Homestay families are carefully screened and matching students with the families is well thought out. These host families become lifelong friends. I ask to stay with my original host “mom” each time because we have formed such a close relationship. The students stay connected to host families for years as well. If you are looking to authentically experience Costa Rica with your students, you have come to the right place. Having traveled with multiple educational travel organizations in the past, I can confidently say that Costa Rica Explorations is the best – hands down. While it’s impossible to see and do everything that Costa Rica has to offer in ten days, Costa Rica Explorations has found a way to give students an experience unlike any other. Their carefully crafted itineraries not only include the adventure activities like zip lining, whitewater rafting, snorkeling, surfing, etc., that you would expect to find, but also provide students the incredible opportunity to immerse themselves in the culture through a unique homestay experience where students live with a family for part of the trip. During this time, students become members of the family and experience what life is like on a daily basis. They also participate in activities such as service projects, cooking and dance lessons, soccer games, and excursions to various places of historical and geographical importance. From the moment you start planning, Molly and her team work with you to ensure that your trip is everything that you want it to be. During the initial phases, they provide posters and other informational materials for both students and parents to help get the word out and build interest. Once students are signed up, CRE provides all of the documents needed to stay organized and on track with deadlines. As the organizing teacher, I have never felt like there was anything I needed that wasn’t provided. Additionally, whenever I do have questions, Molly is always extremely prompt in responding with whatever information I may need. Keeping things consistent, safety with Costa Rica Explorations is top-notch. While traveling abroad with students can be a daunting task, I have never felt uneasy or unsafe with CRE. Depending on the size of our group, we are always accompanied by two or three incredible guides that are always ready and waiting to greet our group with enthusiasm and excitement the moment we arrive in Costa Rica. 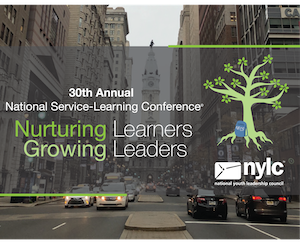 Their knowledge and experience are seriously impressive, but their kindness and ability to relate to students are what truly sets them apart. They are with our group until the (very emotional) moment that they drop us back off at the airport, and work tirelessly to ensure that everyone stays safe and has an incredible time. By the end, they aren’t our guides anymore; they become part of the family that has formed during the trip. In the past, students have asked me to describe our trip with Costa Rica Explorations. 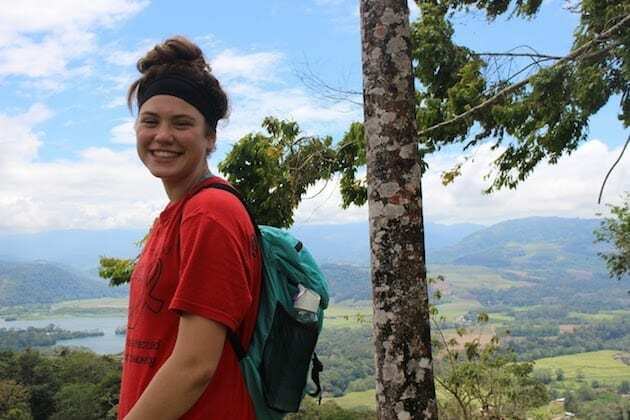 While countless words would accurately describe these ten days, my response to them is always ‘life changing.’ Because of Molly’s experience and knowledge of living in Costa Rica and her connections to the community, I can confidently say that every student (and teacher!) that have participated in this adventure has returned home a better person. Whether trying new food, conquering a fear, declaring minimalism, practicing Spanish, realizing the world is so much bigger than the ‘bubble’ we live in, disconnecting from technology, or making new lifelong friends; Costa Rica has changed us all. 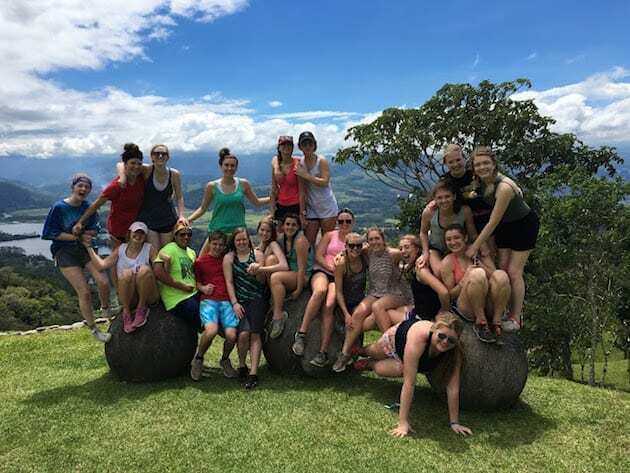 Guerin chaperones and students have treasured their student travel experience in Costa Rica and are thankful for the care and customization Costa Rica Explorations takes to ensure a positive and enriching experience for all involved. Participation in this program has planted the seed of service, has motivated students to continue practicing Spanish, and has opened students’ eyes to the importance of opening your heart to, learning from, appreciating, and creating cross-cultural friendships. Plan a Costa Rica High School Student Trip of Your Own! 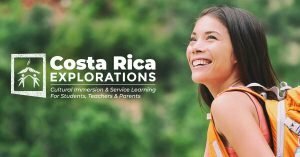 Costa Rica Explorations is a student travel company with a Base of Operations in Turrialba, Costa Rica and an Administrative Base in the United States. We have worked in Turrialba since 2003, which has allowed them to create incredible partnerships with the community. During each program, Costa Rica Explorations experienced, bilingual, local guides are dedicated to support the group, to ensure safety of its members and to create unforgettable educational moments along the way.